Travel back in time to 600 AD when Antiochia was a Roman province of Syria and take a historical journey through the 3rd largest Roman city in antiquity. It is not a role play sim. Curator AlexOlteanu Unplugged is the founder and chair of the Antiochia Scholarships Trust in the real world and a knowledgeable leader in this virtual world project. 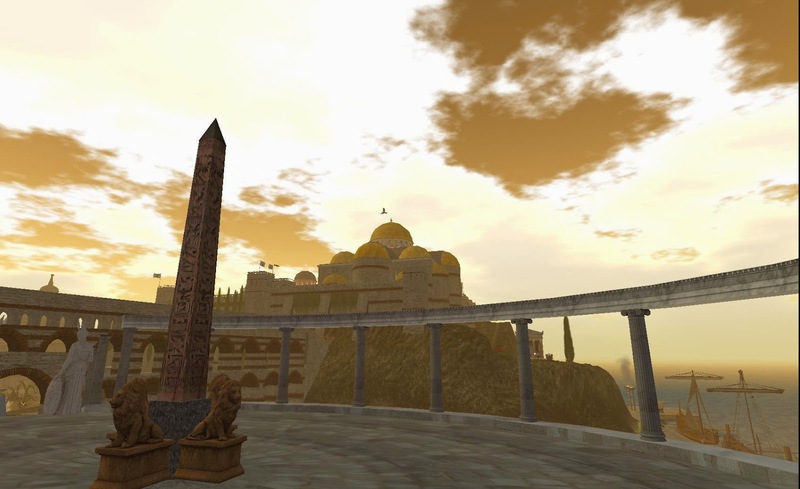 Agora Polis Antiochia is a virtual world educational facility in Second Life with a historical environment designed to help students from the greater Middle East belonging to minorities or otherwise in need to continue their education abroad. The goal of this project is to help these students improve their English skills, guide them in managing projects, build leadership skills, work with other students and prepare them to study at universities in Canada, with the assistance of the Antiochia Scholarships Trust. Founded in November 2013, AST’s vision is the make a difference one student at a time. Derived from an Arab proverb, AST ‘s motto is “A Tree Starts with a Seed”. The Antiochia Scholarship Trust strives to secure tuition-free scholarships and living expenses costs from private corporations, individual donors and partner universities in Canada. 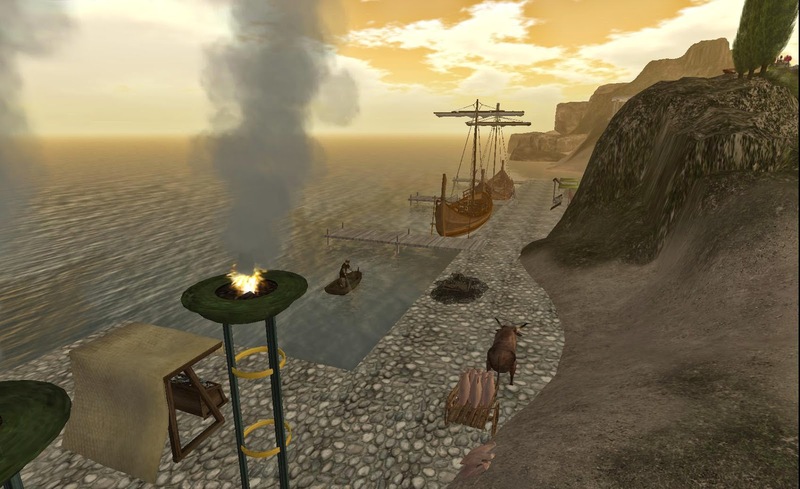 In Second Life, students are encouraged to develop virtual world skills at Agora Polis Antiochia to help prepare them for the transition to education in Canada. There are over 44 information points throughout the sim, each describing a virtually constructed replica of structures, statues, monuments and landscaping of the time. Chief Architect Alexia Carnell is a real world architect who takes pride in her work in both worlds. She successfully recreated every detail in her builds through her research of ancient transcripts and descriptions. 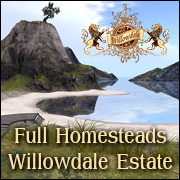 She is best known for her Time Machine Studio and Shop, with builds that can be seen throughout Second Life. The beautiful waterfalls, pathways, flowers, trees and landscaping were skillfully recreated by visual artist Butterfli Summers, who helped put the finishing touches on this project. Upon landing at Agora Polis Antiochia (APA) you will walk through the Porta Aurea (Golden Gate) and enter the Cardo. This is the main North-South street leading to the Nymphaeum Plaza and APA Info Center, where you can find information about the people, projects and activities available on the sim. Other features include various cultural layers such as Greek and Roman architectural influences in the bridges, ports, arches, temples, lighthouse, ancient underground sewer system and waterways navigable by boat. One can also visit Phoenician ruins, a Byzantine cathedral and fortress, the long lost tomb of Alexander the Great and Daphne’s Gardens. The Oval Forum and the Magnaura building offer places for students and visitors to participate in lectures and entertainment events. 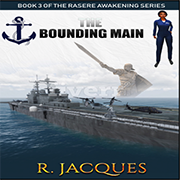 Alexia Carnel shares, “Building Antiochia has been a very positive experience for me. I had a perfect "entente" with the sim owners: we shared concepts and ideas, and they would let me free to interpret them and bring them to life. Eclecticism in style, some historical quotations, a huge number of points of interest and a gifted landscaper - Butterfli Summers - made this sim so beautiful”. 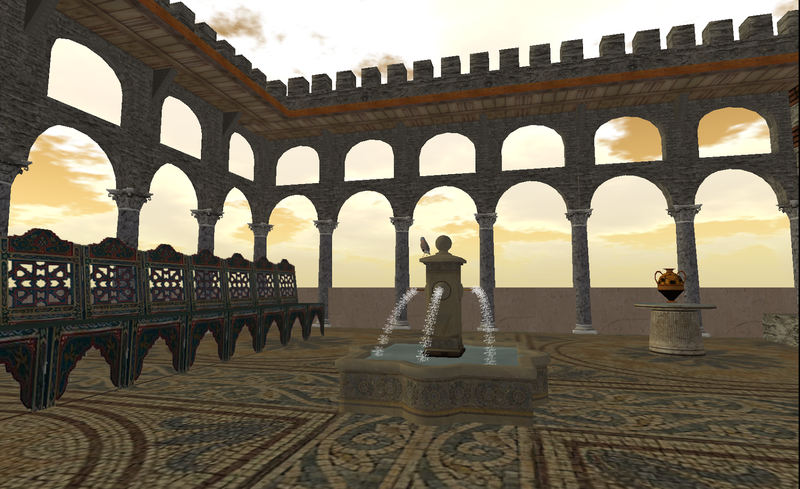 Alexia’s love of building is apparent as she shares her vision of building in Second Life. 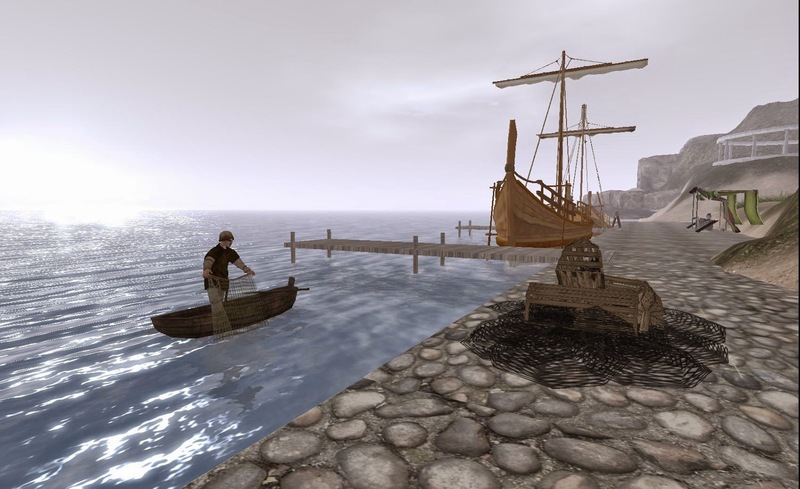 The visual perspectives and atmosphere in the virtual world is an important part of creating an environment where people from around the world can come together, explore and contribute something great in Second Life. The Antiochia team has accomplished that goal. AlexOlteanu explained, “This is a platform in the virtual world that supplements and complements what we do in the real world. We come together and learn together to get students from the Middle East ready to study in Canada”. 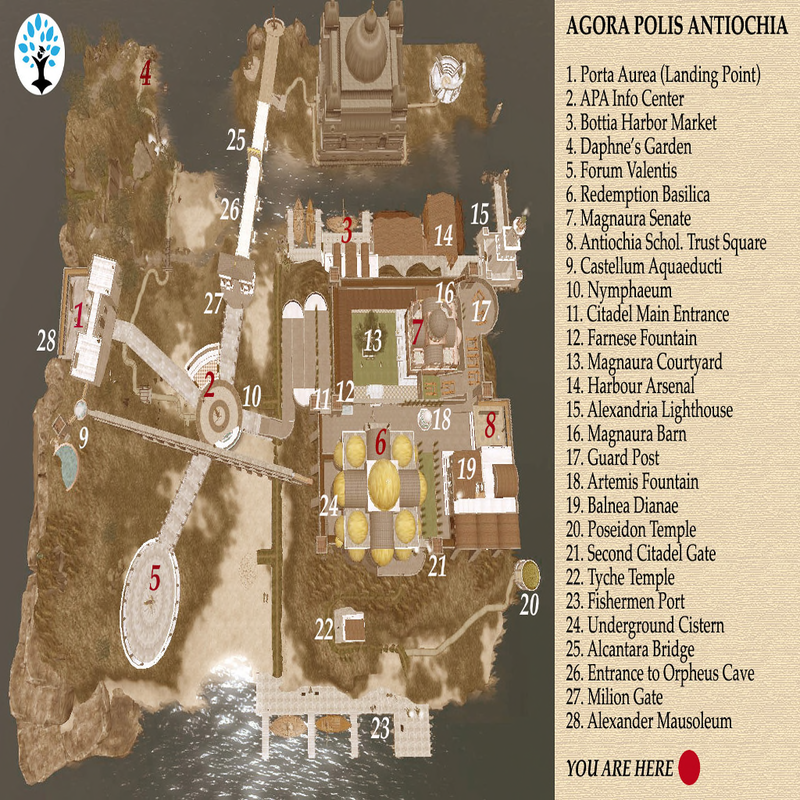 Lanai: Hi Alex, thank you for the tour of Agora Polis Antiochia. I was impressed by the time and detail you and your team put into this project for Antiochia Scholarships Trust. What inspired you to found the Antiochia Scholarships Trust? Alex: My students in Erbil, Kurdistan. I was fortunate to have the opportunity to spend one year in northern Iraq, in the capital of the Kurdish Region, and teach Business Management and English to a variety of local students – Kurdish and Arab, Christian and Muslim, from all parts of Iraq and the Middle East. All were very excited to learn and improve their English skills. Many, especially those belonging to local minorities, such as the Assyrian Christians, or those who had come to Kurdistan from southern Iraq or Syria to find safety and security, had few opportunities to continue their university studies. When I returned to Canada, they told me how much they wished to continue their university studies abroad. They asked me: “Please, don’t let our dream die!”. This is what motivated me initially to set up AST when I returned to Vancouver, in the Summer of 2013. Since then, we all know that the Greater Middle East is now in greater turmoil than ever. Young people throughout the region – but especially those belonging to minorities, live in unsafe environments, with limited educational opportunities at the post-secondary level. It is only by living in a multicultural environment abroad, obtaining undergraduate and graduate degrees and some work experience, then returning to their homes and contributing to the social, economic, and political development of their countries, that these young people from various ethnic, religious and social backgrounds will be able to work together to bring about meaningful long-term change for themselves, their families, and their communities. AST aims to make a small contribution towards this objective. 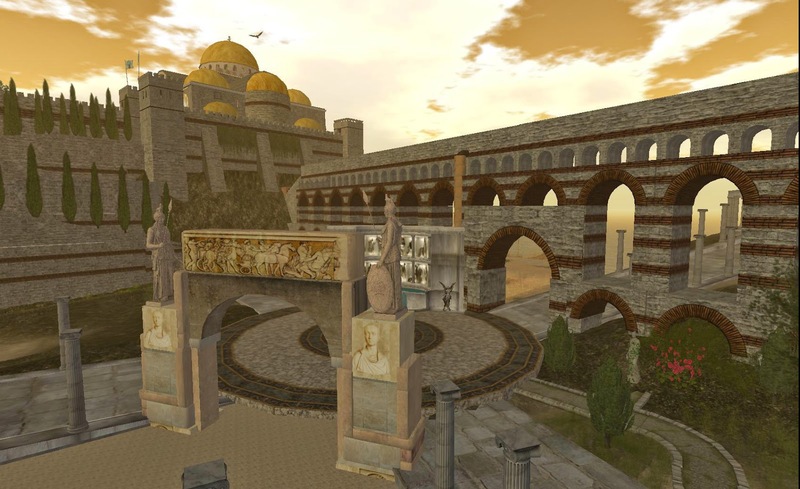 Lanai: How can donors and volunteers get involved both in the real world and in Second Life? The AST Website (http://home.antiochiatrust.org) provides a lot of information on how anyone interested in our project can help. Donors can, of course, make contributions to AST. We are a registered Canadian non-profit organization and bank with Vancity - the biggest Canadian financial services co-operative, owned by its 500,000 members and democratically controlled on the basis of one member, one vote. Volunteers can help in the real world by assisting with publicity and fund-raising, but also by helping newly-arrived students integrate quickly in their new Canadian environment, assisting them to improve their English skills, and being part of their support network. In SecondLife, there are also many opportunities to help: new students joining SecondLife will need assistance to overcome the steep SecondLife initial learning curve and get their bearings in this unique virtual environment; once here, they will need English-speaking tutors to help them improve their English and leadership skills, and to develop their own SecondLife projects. My partner Bromo Ivory and I would be happy to talk to anyone interested to contribute to AST, in both the real and virtual worlds. Lanai: The virtual world can be used in so many ways. 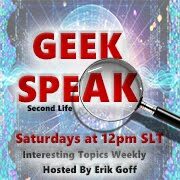 What are the benefits you see in bringing AST and your scholarship candidates into Second Life? Alex: The visual intensity of social interaction and availability of a multitude of communication tools to individuals spread out around the world. No other medium can offer the ability to re-create a physical place in the space and time of one’s choice and transform it into a place designed, managed and owned by its members, who end up developing affective and emotional ties towards it similar to those they have towards their real home environments. 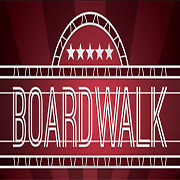 This ability to engage in stimulating social interaction in a rich multi-media 3D environment motivates all participants to invest extra time and effort into the project and to return again and again to what has become their “virtual home”. 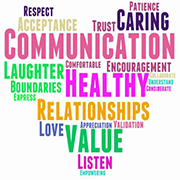 Participants become not simply students, but content creators and educators in their own right, and improve their communication and social skills in a very diverse, multicultural environment. This provides them with excellent preparation for their arrival in Canada, and helps cement a spirit of community and solidarity and sharing of ideas between individuals before they even meet in real life. On other levels, SL provides AST with the opportunity to interact with and develop synergies with other educational and cultural projects, and of course to engage in fund-raising activities in support of its students. Lanai: There is such a layering of cultures entwined at Agora Polis Antiochia, it literally is a virtual look back in time. 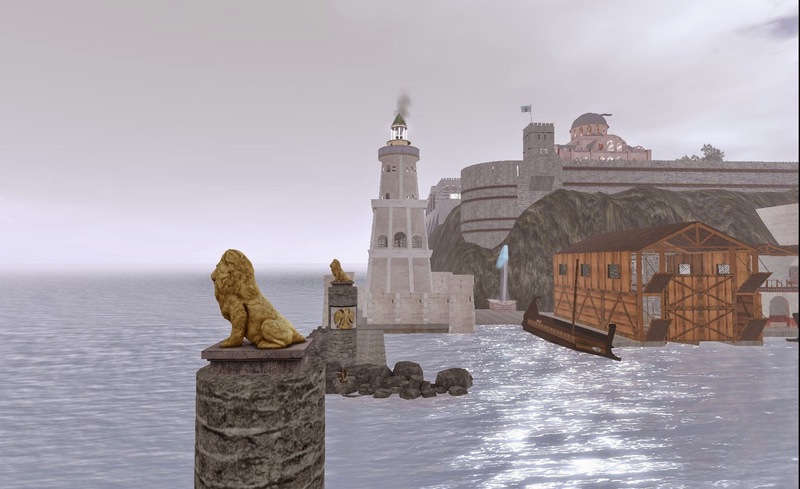 Can you tell our readers a little bit about Antiochia’s history and some of historical elements that can be found on the sim? Alex: it would be my pleasure. The first great civilization to settle at the mouth of this waterway was the Phoenicians, around 2500 BC. They expanded the harbor and used the nearby mountains as burial grounds. Phoenician ruins of the city of Meroe can still be found in the forests and mountains in the northern part of the sim; they mark the sources of the life-giving water theme that traverses the entire physical space and temporal eras of the sim, from the waterfalls in mountains in the north, through the great river Orontes flowing though it, and down to the port and sea, to the south. The reason why almost all Phoenician vestiges have disappeared can be summed up in a name: Alexander the Great. In 332 the great Greek conqueror took the city and razed it all to the ground. But Alexander died, in 323 BC, and two of his generals, Antigonus and Seleucus, fought over Syria, the province surrounding what had been once a great Phoenician city. The long-lost tomb of Alexander can actually be found hidden deep below the Main Gate of Antiochia. When Seleucus I Nicator finally defeated his rival Antigonus and consolidated his rule over most of Alexander's empire by founding his own, Seleucid Empire, he re-founded the city and named it after his son, Antiochus. Antiochia on the Orontes soon became the Seleucid capital. The entire lower town of Antiochia, from the lighthouse in the harbour, to the port, docks, marketplace, and ring road around Mount Sylpius, all the way to the Fishermen’s pier and the small temple of Tyche, located outside the city walls on the western side of the hill, date from these Hellenic times. Tyche, the Goddess of Fortune, remains the Pagan Goddess of the City, in front of whose statue burns an eternal flame. A circular Temple of Poseidon situated at the extreme south-western point of the land, also dates from these times. The original city of Seleucus was laid out in imitation of the grid plan of Alexandria by the architect Xenarius. The citadel was on Mt. Sylpius and the city lay mainly on the low ground to the north, fringing the river. A great Colonnaded Street dating from the times of the Romans, who conquered Antiochia during the time of Pompeius the Great, in about 60 BC, connects the Oval Forum to the central Nymphaeum Plaza, where a beautiful Nymphaeum Fountain can be admired, and the elegant Bridge across the Orontes (a replica of the Roman bridge in Alcantara, Spain), with a Triumphal Arch at its entrance - all which date from the times of the Late Roman Republic and Early Empire. A Sanctuary of Orpheus was constructed underground by Diocletian, and is situated under the Nymphauem Plaza, at the start of the underground sewer canal. Beyond the northern suburb of Heraclea lies the Paradise of Daphne, a park of woods and waters, in the midst of which can still be found the beautiful Phoenician ruins of the temple of Anat. Antiochia experienced a “third foundation” under Constantine the Great, who also built the great city bearing his name - Constantinople, on the foundations of the old Greek colony, Byzantium. The entire Acropolis dominating the city to this day, together with its fortified walls, impressive aqueduct crossing the city and connecting Mount Sylpius with the northern mountains, as well as the city gate – Porta Aurea - date from his period, although an original aqueduct has already been build a century earlier, by emperor Valens, which is why it is still known today as Valens’s Aqueduct. Antiochia became the capital of the Asian part of the Roman Empire, and one of its four major cities, with Rome, Alexandria, and Constantinople. Diana’s Baths and the neighboring remains of Bucoleon Palace, today renamed AST Square, were also constructed during Constantine’s time. Influences of the local, Arabic culture can be found in both the exquisite mosaics of the Baths, as well as in the delicate water fountain and mosaics still standing in the ruins of Bucoleon Palace. The final layer of the city was built by Justinian the Great in the middle of the 6th Century AD, as the transition from Rome to Byzantium was well underway. The great Redemption Cathedral, modeled on the Hagia Sophia of Constantinople, with its unique coupla and splendid mosaics and frescae, as well as its hidden underground cistern, date from this time, as does the neighboring Magnaura, which remains the seat of Government of Antiochia. Antiochia had by then become a chief center of early Christianity. The city had a large population of Jewish origin in a quarter called the Kerateion, and so attracted the earliest missionaries. Evangelized, among others, by Peter himself. Its converts were the first to be called Christians. The story ends here, in the early 7th Century AD, during the time of Heraclius the Great, who introduced Greek as the Eastern Roman Empire's official language, which explains the name of the Community - Agora Polis Antiochia. Heraclius himself took the title of Basileus of the Roman Empire, re-conquered many of the territories lost to the Sassanids, whom he finally defeated in 627 AD, at the battle of Niniveh. Lanai: Two of the most important features at Agora Polis Antiochia are the Oval Forum and the Info Center. The Info Center has information that provides great educational value and the Oval Forum is a spacious outdoor lecture facility surrounded by great columns and beautiful views. I can almost imagine ancient scholars standing in the center offering words of wisdom or reporting news to the people. What types of lectures and events do you offer at Agora Polis Antiochia? 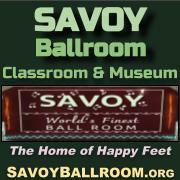 The sim’s opening festivities will take place on Sunday, January 15, 2015, so everything is still in the planning stages. We will start with the inaugural instalment of the AST Lecture Series, to be given by European Professor David Orban, specialist in Network Governance, entitled: “Infrastructures and Superstructures: The Interactive Components of Our Lives”. 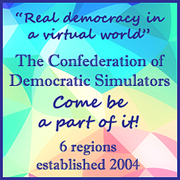 We will also host a discussion panel on the topic: “A decade of real governance in a virtual space”, with real life academics and SL specialists Stephen Xootfly and Gwyneth Llewlyn. One of our students from the Middle East, currently living in Beirut, who has been accepted to study for a Masters’ in Global Management at a Canadian university and hopes to be here soon, will also share his experiences. 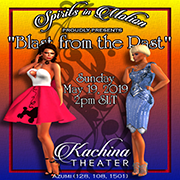 In terms of entertainment, we are proud to present, as the opening event of our festivities, the virtuoso piano player from France, Sandia Beaumont, who will be followed by SL’s most accomplished Guitar and Latin music player, Joaquin Gustav, as well as well-known SL performers such as Maximillion Kleene (folk/pop), Komuso Tokugawa (rock) and Gweeb (blues). We plan to continue with such academic and entertainment events on a regular basis and transform Antiochia into one of SL’s most popular and most visited knowledge and cultural hubs. 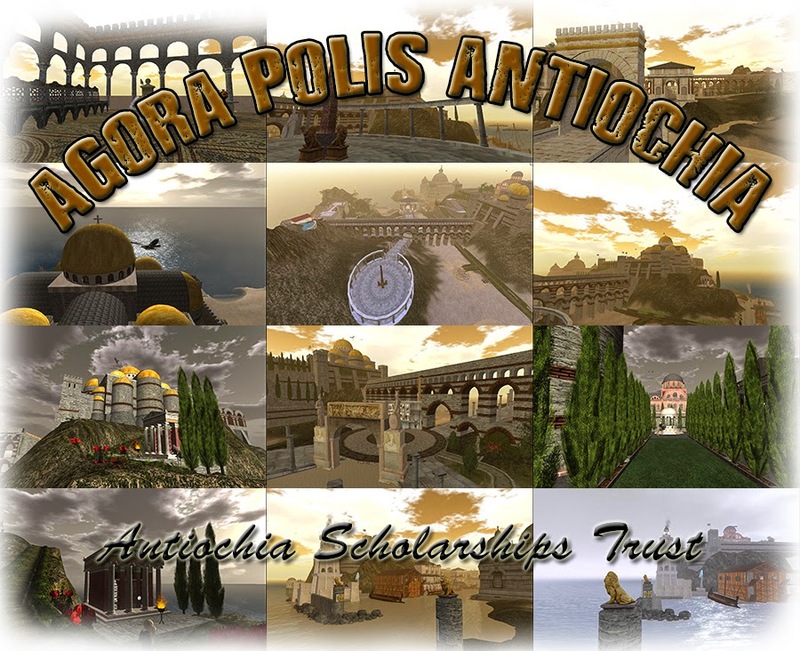 Lanai: Is there anything else you would like to share about Antiochia Scholarships Trust or Agora Polis Antiochia? Alex: As beautiful and attractive as Antiochia’s virtual environment is, the core of our project is made up of the many people who devote their time, energies, and skills in making it come to life – both in Second Life and, especially, in real life, where we aim to help real young people pursue their actual dream to further their education and bring peace, prosperity, and participative governance back to their homes and communities. 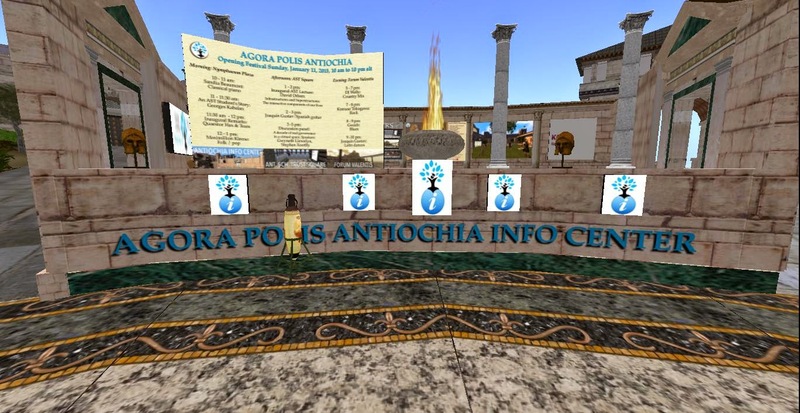 We hope to connect and develop synergies with other educational and cultural organizations who share our vision and aims, and expand Antiochia in SecondLife to a multiple-sim “micro-nation”, drawing on the various cultural and educational layers already in place now in Antiochia. 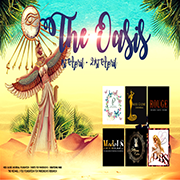 I hope that such organizations, as well as individuals who wish to contribute in some way, or just enjoy the sim and the events and experiences it has to offer, will join us by contacting me or my project partner, Bromo Ivory, or joining our SL group, Agora Polis Antiochia, to stay informed of our events and activities. Building a real, vibrant community in both the real and virtual worlds will be an ongoing, daily task of communication, persuasion, and cooperation that is just beginning for us and that will become our main focus after this Sunday’s Opening Festivities in Antiochia. 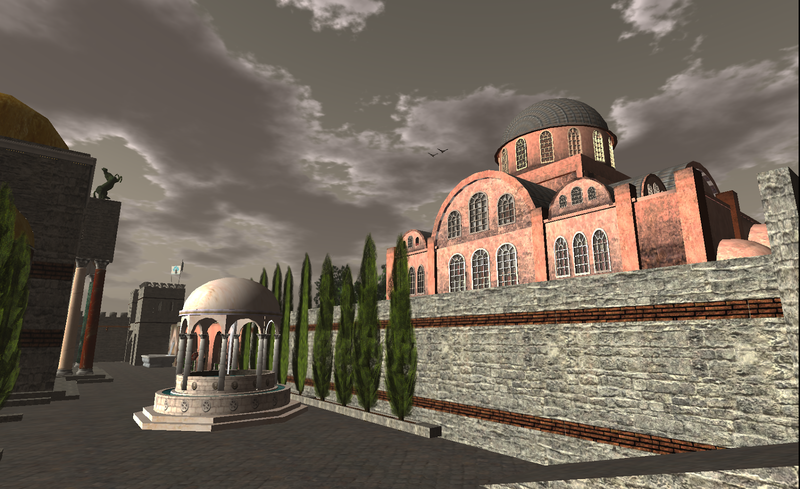 Preferred Contact AlexOlteanu Unplugged in SecondLife; alex@antiochiatrust.org by e-mail.